It is odious, beautiful, and spreads like the wind. In Norway, it is a struggle against the Lupines. 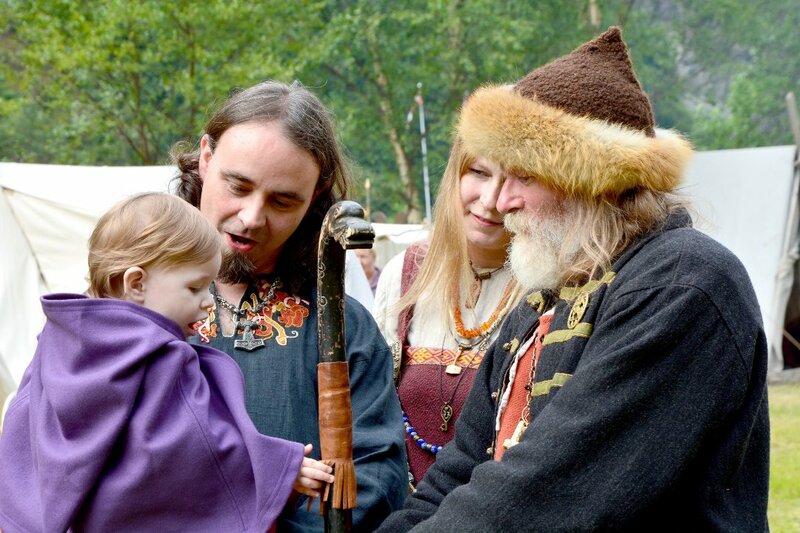 One of the Norwegian municipalities, Namsskogan in Nord-Trøndelag County, received 10,000 Dollars from the county to go to war against the plant. ‘It is hard work. I can almost feel that they are growing up behind me while I cut them’, gardener Richard Isaksen tells the local newspaper Namdalsavisa. The residents of Namsskogan have tried to combat the Lupines for many years. Now, they have finally received help. In Norway, Garden Lupin (Lupinus polyphyllus) Blue Lupin (Lupinus perennis) and Nootka Lupin (Lupinus nootkatensis) are the most common species. These are inedible and vary in colors, including blue, purple, pink, white and red. Originally, Blue Lupins and Nootka Lupins were introduced to bind the sand along new railway lines on the Norwegian West Coast, but they quickly spread across the country. In Norway, all Lupine species are on the ‘Black List’ as they may be a threat to Norwegian flora and fauna. The Garden Lupin displaces daisies, clover, and bluebells among other flowers. All the insects that eat daisies and bluebells are also affected and many of them may become extinct. 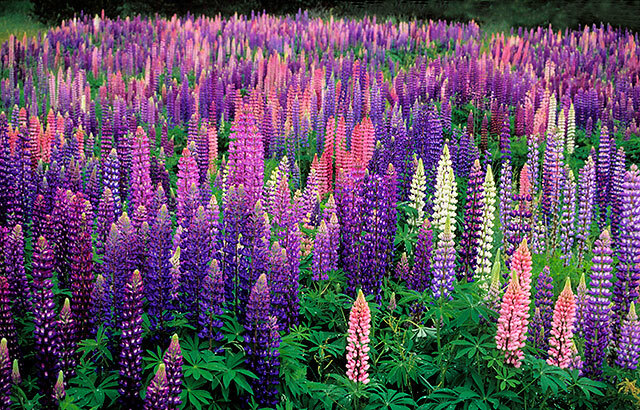 Lupines origins from the northern parts of America and was introduced in Norway as ornamental plants and planted along roads to prevent soil erosion. The plants have nitrogen-fixing bacteria on their roots that help the plant to obtain nitrogen. In that way, they can grow on the most barren places. The name ‘Lupin’ derives from the Latin word lupinus (meaning wolf), and was given with regard to the fact that many found that the plant has a tendency to ravage the land on which it grows. 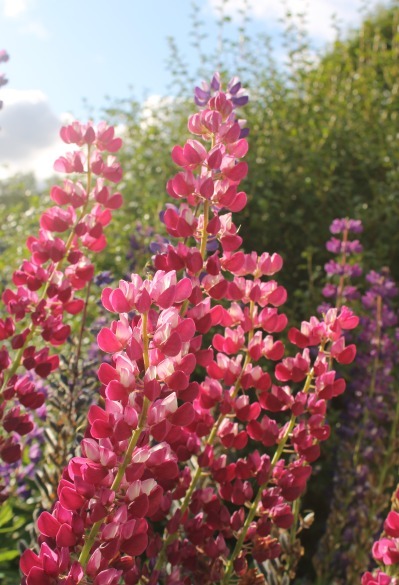 Editor’s note: But – it’s a fact that Lupines are a colorful sight alongside Norwegian roads when they are blooming in blue, white, pink and purple.